Catherine married Harlow E. Woodward, son of Harlow Edmund Woodward and Anna A. Gidis. 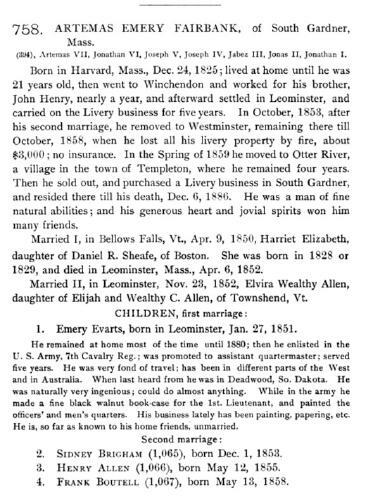 "New Hampshire Marriage Records, 1637-1947," database with images, FamilySearch (https://familysearch.org/ark:/61903/1:1:FLFR-4TZ : 12 December 2014), George C. Clifford and Effie E. Blake, 13 May 1900; citing North Haverhill, Grafton, New Hampshire, Bureau of Vital Records and Health Statistics, Concord; FHL microfilm 1,000,975. 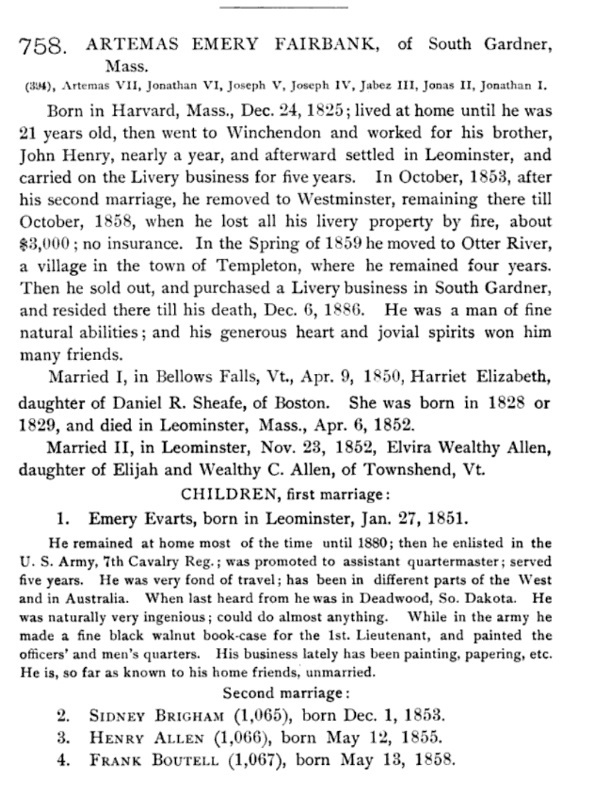 "United States Census, 1900," database with images, FamilySearch (https://familysearch.org/ark:/61903/1:1:M3Y7-SF9 : 20 January 2015), George C Clifford, Haverhill town (north part), Grafton, New Hampshire, United States; citing sheet 6B, family 112, NARA microfilm publication T623 (Washington, D.C.: National Archives and Records Administration, n.d.); FHL microfilm 1,240,946. 1880 United States. Census Office. 10th census, 1880 federal population census, Washington, District of Columbia: National Archives and Records Service, ([19--]) , FHL Film 1254565; National Archives Film T9-0565; Page 412A. Lorenzo Sayles Fairbanks A.M., Genealogy of the Fairbanks Family in America, 1633-1897, , at https://books.google.com/books?id=rbJ3WLoOEo0C . Boston, MA: American Printing and Engraving Co., (1897) , p. 792. Vital records of Bridgewater, Massachusetts, to the year 1850, Boston, Massachusetts: New England Historic Genealogical Society, (1916) , Vol. 2, p. 463. 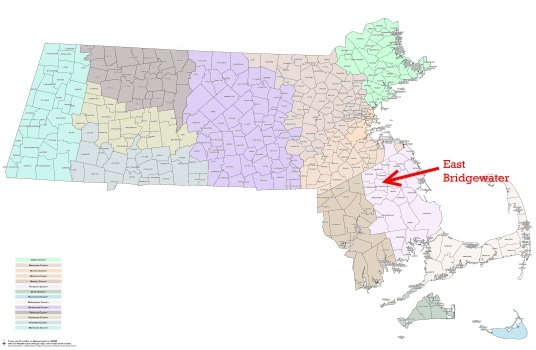 "Massachusetts Births and Christenings, 1639-1915," database, FamilySearch (https://familysearch.org/ark:/61903/1:1:V5NH-B8L : 4 December 2014), Esther Allen, 06 Aug 1753; citing BRIDGEWATER,PLYMOUTH,MASSACHUSETTS, ; FHL microfilm 164,691, 164,692. Vital Records of East Bridgewater, Massachusetts, to the year 1850, , at https://archive.org/details/vitalrecordsofea00eas . Boston, Mass. : New England Genealogical Historic Society at the charge of the Eddy Town-Record Fund, (1917) , p. 159.